The first model released from Spintastics was the Technic Terminator. 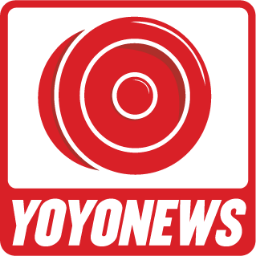 Although the yoyo remains the same, a modified body design with replaceable wooden axle, there have been several versions of the sidecaps. This is one of the OLD ones, from close to the beginning. 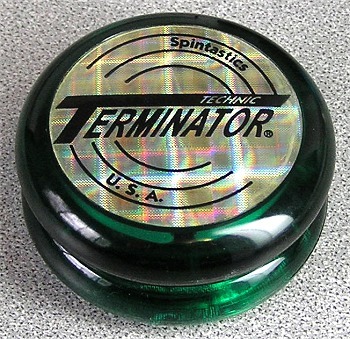 Before Spintastics was forced to remove "Terminator" from the logo for legal reasons.